The moment the Black Knight grasped the Crown of Command, the denizens of the realm all began to feel a sudden, irresistible pull towards the Plain of Peril. They abandoned their occupations and began walking across the realm without care for food, shelter, or weather, as if possessed. The only thing that mattered was reaching that destination, and they were prepared to kill anyone standing in their way. It is time for you to rediscover the realm of Talisman as it recovers from the apocalypse. To explore once-familiar lands that have now become foreign and strange. To meet the determined people building communities in this tumultuous era. To reach for the Crown of Command, and strive to prove yourself worthy of it. The Cataclysm expansion for Talisman is now available at local retailers in the US and Canada, and in our online store. In The Cataclysm, the realm of Talisman as you once knew it has disappeared. A new center board opens up a mysterious and transformed space full of possibilities and perils. Once fiery, the Inner Region has been frozen over. The Black Knight has abandoned his Castle and now seeks the Crown of Command. 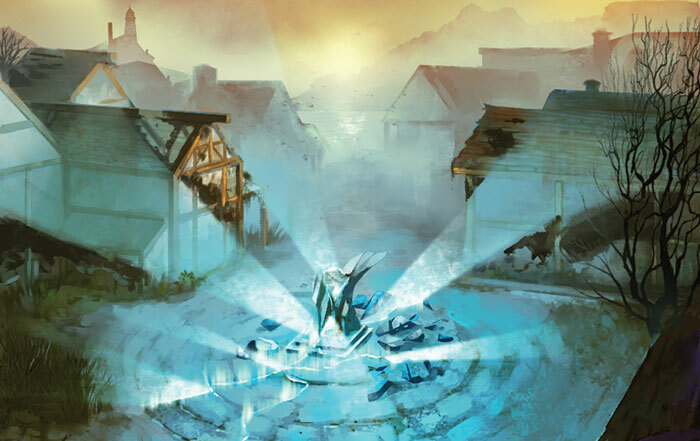 The old stone Sentinel that guarded the Middle Region has fallen, and a demon has taken its place, inhabiting the crumbling ruins of its predecessor’s body. And as people return to the realm, it continues to change. 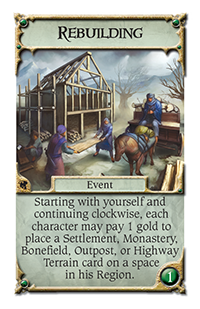 You and your fellow travelers may participate in Rebuilding a town or road. 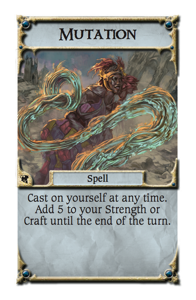 You may even begin to transform, if you acquire a Mutation Spell. Amid all the change, Traces of the past are ubiquitous. 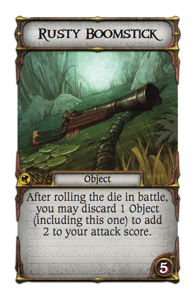 Some are material, like Salvage or a Rusty Boomstick. 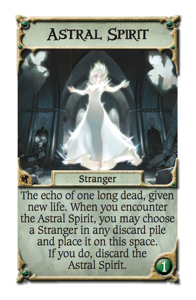 Others are less so: sometimes an Astral Spirit of someone slain in the apocalypse may appear, momentarily resurrecting a Stranger who has long wandered in silence and death. Through an Astral Rift created by cosmic energies lingering from the apocalypse, a Place from the past may randomly return in a new site. The inhabitants of this unstable realm fall into two categories. 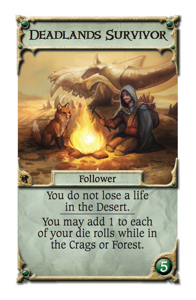 There are seasoned nomads who have wandered here from afar, like the Deadlands Survivor. Then, there are are those who weathered the apocalypse in their youth, like the Old Wizard. 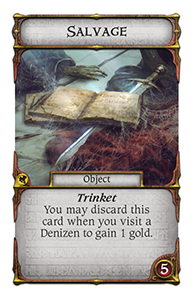 There’s much to be gained by interacting with Talisman’s Denizens, from gold and Objects to fate and even Life. But you’ll also find that many of them are as capricious and changeable as the land itself, as likely to turn you into a slimy little toad as help you out. 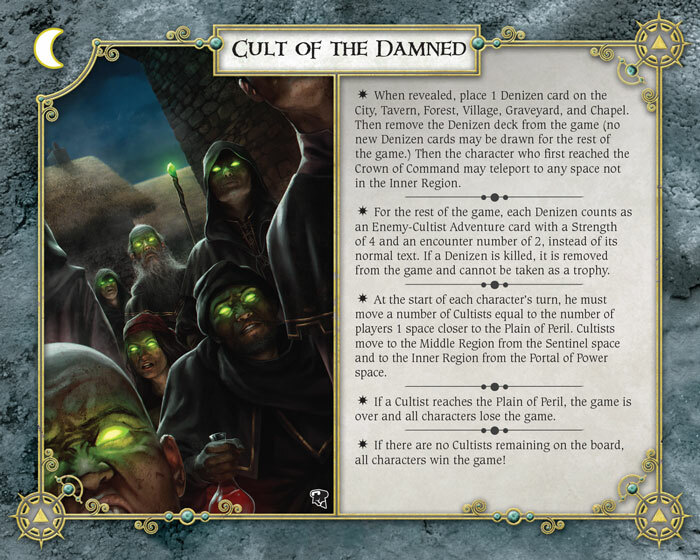 In one alternative ending, the Cult of the Damned, they actually turn against all the characters, and march towards the Plain of Peril as if possessed by a demonic force, single-minded and merciless. 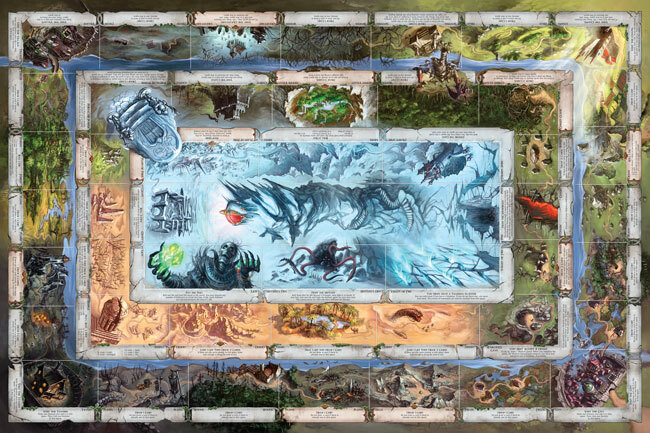 The Cataclysm immerses you in a brave new world, unlike any place you have yet encountered in your games of Talisman. You will find there priceless Objects, long-lost Remnants, powerful Spells, willful Denizens, terrible Demons, and even the Ageless Talisman, which will make you nearly invincible if you reach the Crown of Command. 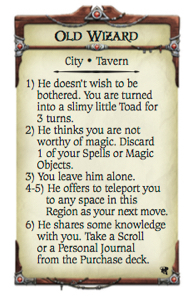 Perhaps you have had countless adventures in the realm of Talisman. Perhaps you have even worn its Crown. But are you brave enough to venture there after the apocalypse? If so, pick up Talisman: The Cataclysm from your local retailer today! 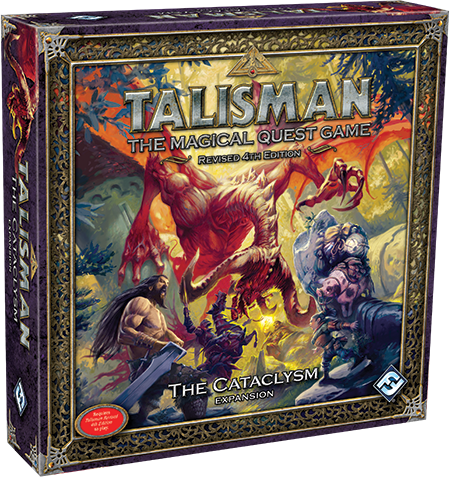 Talisman: The Cataclysm © Games Workshop Limited 2016. Talisman, GW, Games Workshop, the Games Workshop logo and all associated marks, logos, places, names, creatures, races and race insignia/devices/logos/symbols, vehicles, locations, weapons, units and unit insignia, characters, products and illustrations from the Talisman world are either ® or TM, and/or © Games Workshop Limited, variably registered in the UK and other countries around the world. This edition published under license to Fantasy Flight Publishing, Inc. Fantasy Flight Supply is a trademark of Fantasy Flight Publishing, Inc. Fantasy Flight Games and the FFG logo are registered trademarks of Fantasy Flight Publishing, Inc. All rights reserved to their respective owners.